Ultrasound is back to serve the beauty. This time, the goal is to restore skin tension. The tension effect on the tissues is obtained by the production of new collagen (neocollagen). To induce this production of new collagen, it is necessary to increase the collagen temperature over 63 ° Celsius. Until now, only radiofrequency was proposed in this indication. Radiofrequency devices raise the skin temperature to 45 ° C and only on the outer layer of the skin. We obtain only an ephemeral tensor effect of a few hours related to transient edema. Thus, radiofrequency is inefficient for skin resurfacing. That's why at Pavillon Esthetic 26 we use High Intensity Focused Ultrasound (HIFU), which warms tissues at 70 ° in one point like a magnifying glass under the sun. The energy of each pulse is 300% higher compared to the previous version. New depths of treatment. At the 3 initial depths (1.5 mm, 3 mm, 4.5 mm) are added 4 other treatment depths (2 mm, 6 mm, 9 mm, 13 mm). The consequences are an expansion of indications and better results. First effect: tensor effect linked to the creation of new collagen (neocollagen). Second effect: lipolysis (destruction of fat cells). The Ultraformer 3 is therefore the first HIFU treatment for the face and body. The depth of 4.5 mm is very interesting because it corresponds to the superficial musculo-aponeurotic system (SMAS) where the HIFU causes electrocoagulation as in a facelift. A contraction of this tissue is obtained without surgery with stimulation of the production of new collagen, hence the lift effect. During a session between 7,500 to 15,000 points of coagulation are practiced for each depth of treatment between 22,500 and 45,000 points if the three depths are treated during a single session. The objective of this treatment, non-invasive (without anesthesia, and without surgery) and without risk, is to obtain a skin tightening and a reduction of the fat mass (very useful when treating a double chin). 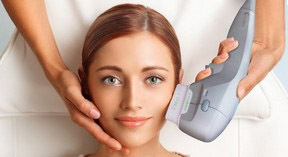 This ultrasound therapy for the face (ulthera, ulthérapy) is FDA approved in the United States as a facelift without surgery (more than 100,000 patients already treated in the USA). 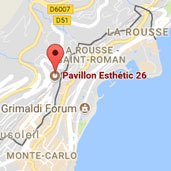 Rejuvenation of the gaze by treating the periorbital area. One can act at the level of the line of the eyebrows, the lower eyelid, the forehead and the temple. We obtain an opening of the eye, a lifting of the eyelid, and a repositioning of the eyebrow. Rejuvenation of the outline of the oval of the face. We redraw the mandibular line by acting on the lower third of the cheek and the under chin area. Treatment of the jowl. Rejuvenation: lifting of the neck and chin. 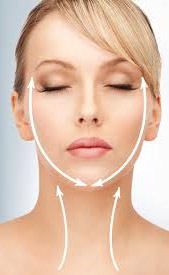 Treatment of double chin: fat destruction and skin tightening. Re-tensioning - lifting and destruction of the fat on the inside of the arms. Re-tensioning - lifting and destroying the fat of "love handles". Re-tensioning - lifting and destruction of the abdomen fat (eg after pregnancy). Re-tensioning - lifting and destruction of fat in the thighs, calves and ankles. Re-tensioning - lifting the skin above the knee. The ideal age group is 30 to 60 years old. Prevention in people with moderate skin slackening who can thus postpone the date of a facelift or a blepharoplasty by several years. Patients with greater skin sagging who refuse surgery because of the heaviness of the procedure, scarring, facial changes, social eviction and cost. It is important to note that the treatment is independent of the sun exposure and can be practiced in any season and whatever the phototype (light skin to black). The session lasts about an hour. An ultrasound gel is applied to the skin for good ultrasonic conduction. For each treatment depth, several passes are made with the one or more handpieces adapted to the skin thickness. For example, on the eyelids, only handpieces of 1.5 and 2 mm will be used. The importance of sagging skin will determine the number of sessions and their spacing. For skin retension, usually 2 sessions spaced by 2 to 3 months are sufficient for optimal effect. Subsequently a maintenance session every two years is recommended. For the treatment of fatty deposits, 3 to 4 sessions separated by approximately 2 to 3 weeks are necessary. The results are immediate because of the retraction of the coagulated collagen but the consolidation of the final result is done over 3 to 6 months with neocollagenesis. The session is not very painful. Several parameters are adjustable (intensity, spacing points) for the session to run smoothly. A level 1 analgesic like Paracetamol can always be taken in anticipation of the session.